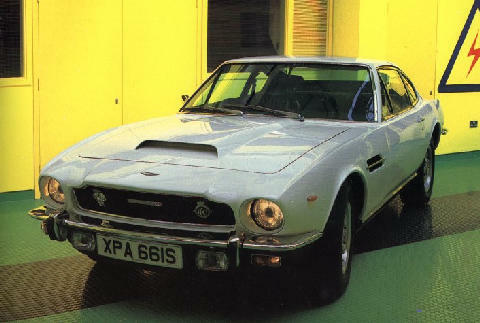 Launched in 1972 to replace the mechanically identical DBSV8, the Aston Martin V8 (or AMV8) became Astons' best seller until 1995 when the DB7 was launched. 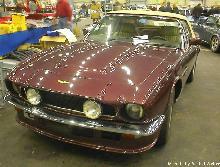 Produced until 1990, the AMV8 had many specification changes, some cars had fuel injection whilst others had Weber Carburetors. 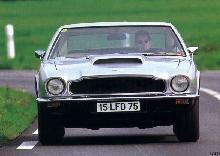 Later cars had wood trimmed interiors and large grille mounted auxiliary driving lamps, overall reliability and production quality improved after 1975. 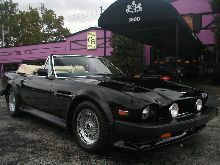 Production finally ended in 1990 when the Virage entered production. An unusual variant was the 1974 Lagonda, which was basically a stretched 4 door V8 saloon, only 7 of these cars were built up until 1976. 8' 6" 4' 11" 4' 11" 15' 3" 6' 0" 0 (0) 0' 0"